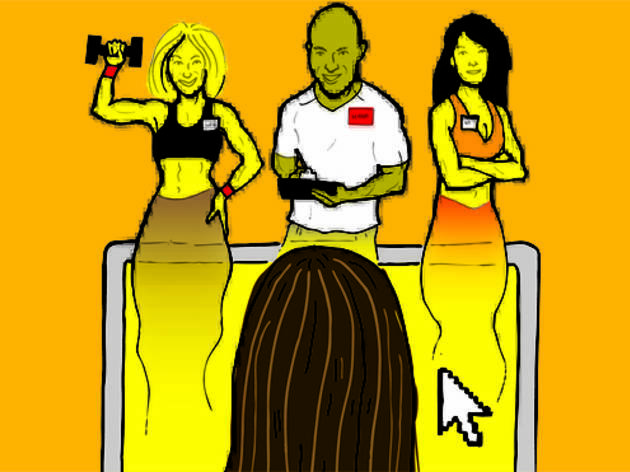 A new service in Chicago matches you with the perfect personal trainer. On the rare occasion I’ve had the extra dollars to spend on a personal trainer, I’ve always resorted to asking a friend for a recommendation or relying on my gym to set me up with one. But I recently learned about a new method: RightFitChicago.com. 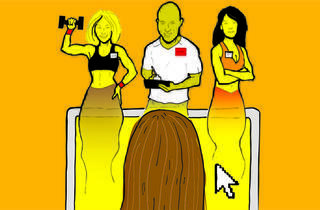 The best way to describe it is a dating site for personal training. Launched in February, the website offers 140 trainers, who work out of a handful of personal-training gyms as well as home studios, a platform to advertise their services. I sign on, fill out my preferences for a trainer—neighborhood (West Lakeview), price range ($20–$40), gender (either) and specialty (full-body toning)—and the site spits out five recommendations with bios. My excitement at seeing the option of spending as little as $20 slightly dwindles when I realize it applies to group options, but even so, not bad. I like the sound of Kimmy Steinback, a National Academy of Sports Medicine–certified trainer, recently relocated from Los Angeles, who focuses on helping clients develop confidence through fitness. The site allows you to check reviews of trainers’ success, but it’s too soon for any feedback on Steinback; so, while I’m interested in her, I’m left wanting some reassurance that I’ve selected the best match for me. After some digging, I find a video of her working out with the site’s founder, Matthew Kornblatt, which gives me a better sense of her outgoing personality and training style. I e-mail her and hear back within an hour, and we set up a time to meet at her studio. Our first session (starting at $81), starts with an overall assessment of my goals and current routine and diet, and then we get going with actual exercises. Two rounds of two different strength-training circuits infused with cardio later, I’m just wiped enough to know I’ll feel sore within the next 24 hours. And, much like dating, I know plenty of trainer options exist, but I’m happy to see where this relationship takes me.